Want to get rid of your pot belly and thunder thighs? Or do you want to stay healthy and fit? Then, you must try out smoothies. Smoothies are palatable, take less time to prepare, look tempting, and are the best option to take a break from chewing healthy food. And believe me, they are not nauseating. In fact, you will be surprised how balanced and delectable they are. 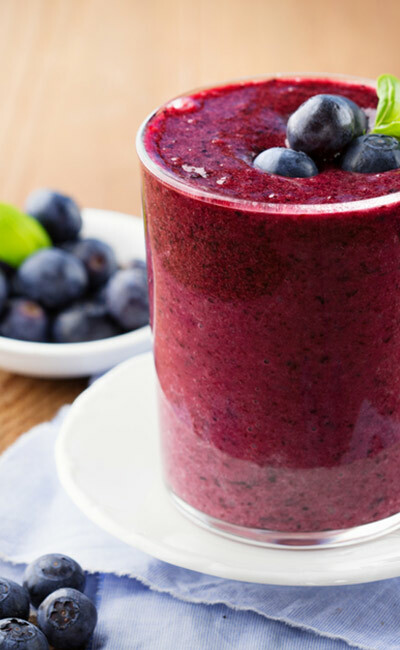 These 21 quick and healthy smoothie recipes for weight loss can help melt the fat, flush out toxins, and boost your metabolism. 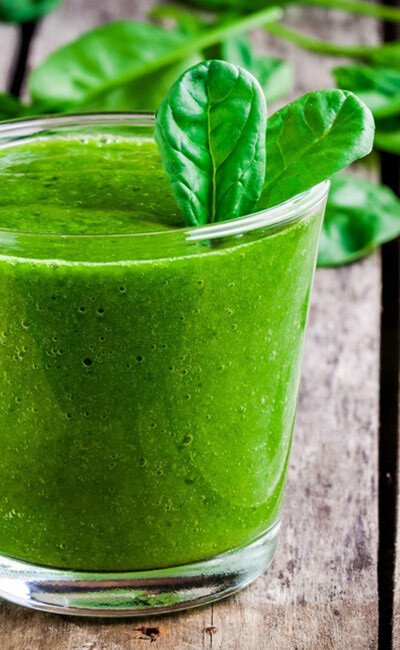 So, get ready with your blender and start shedding those pounds. Let’s begin! Wash the sapodillas. Peel, seed, and roughly chop them. Toss the chopped sapodillas into the blender and add almond milk. Blend into a smooth paste and pour it into two glasses. Add the chia seeds and stir well. Top it with almond flakes before drinking. 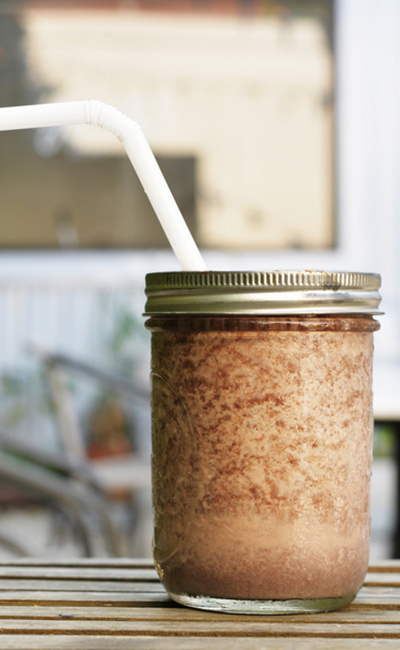 Use chilled almond milk to make it taste yum. Sapodillas are high in fiber (about 14 g fiber in 1 medium sapodilla), which helps to prevent fat absorption and keeps you full for a longer duration (1). Chia seeds promote weight loss and can protect you from cardiovascular disease and diabetes (2). Almond milk is loaded with nutrients and is the best substitute for dairy or soy milk. It aids weight loss, boosts muscle power, and improves bone, heart, skin, and eye health (3). Almonds are rich in monounsaturated fatty acids that help to reduce weight, regulate blood glucose levels, and protect from cardiovascular disease, inflammation, and oxidative stress (4). Wash the apples, take the pith out, and roughly chop them. Toss both the chopped apples and figs into a blender. Add lemon juice and give it a spin. Pour the smoothie out into two glasses. Add a pinch of Himalayan pink salt and stir well. Apples are rich in phytonutrients that help to reduce the risk of asthma, cardiovascular disease, and diabetes, prevent lipid oxidation, and lower bad cholesterol (5). Figs are rich in dietary fiber and help to improve bowel movement (6). Lemons have an alkalizing effect that helps to nullify the acidic environment inside the body. Lemon helps in liver detoxification, aids proper bowel movement, has antiparasitic activity, and helps fight cancer and diabetes-induced cataract (7). Peel the oranges, take out the seeds, and roughly chop them. Toss the chopped oranges into a blender and add lemon juice and ground the flax seeds. 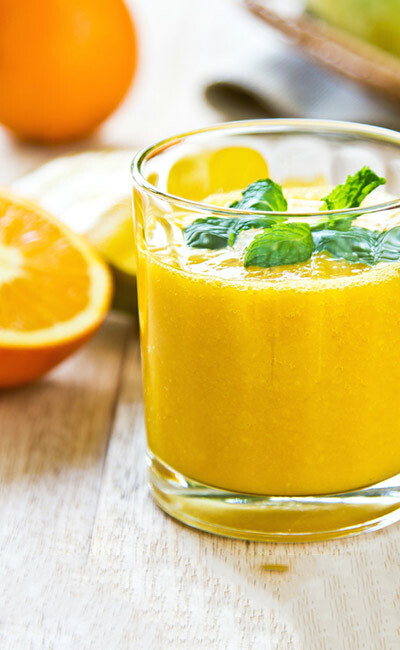 Blend it well and pour out the smoothie into a glass. Add a pinch of Himalayan pink salt and stir well before drinking. Oranges are a great source of flavonoids, carotenoids, and vitamin C that help to detoxify your body, protect you from heart disease, and fight cancer (8). Flax seeds are rich alpha-linolenic acid (ALA) that protects against myocardial infarction, reduces bad cholesterol, and prevents stroke (9). Lemons are rich in vitamin C that helps to boost the immunity and flush out toxins. It also helps to reduce weight (10). 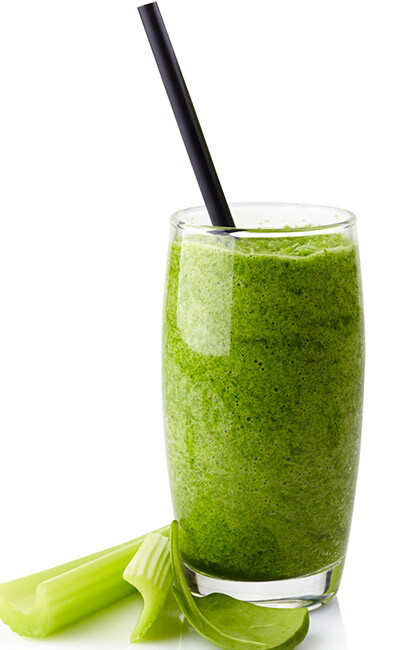 Toss the chopped celery and pear into a blender and give it a spin. Add a teaspoon of ACV and a pinch of Himalayan pink salt. Celery has antioxidant and lipid-lowering properties. It also helps to control the blood sugar levels (11). Pears help to metabolize alcohol, lower lipid levels, and prevent ulcers (12). ACV helps in detoxification, aids weight loss, regulates blood sugar levels, and improves mood (13). 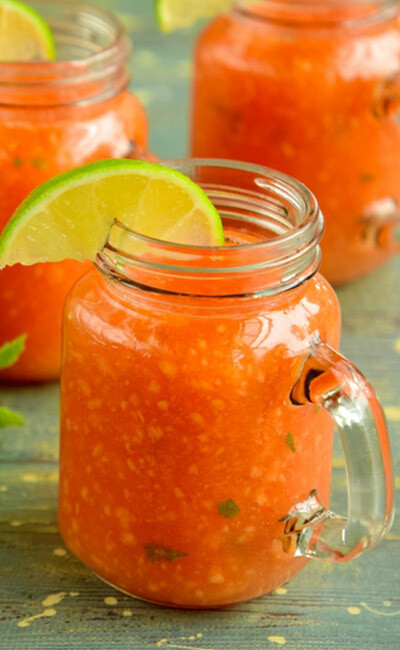 Blend the carrot and watermelon using a bender. Pour the smoothie into a glass. Add cumin powder and a pinch of Himalayan pink salt. Carrots improve cardiovascular health by increasing the total antioxidant levels in the body (14). Watermelon consumption can improve cardiovascular health and protect you from macular degeneration, diabetes, and cancer (15). Cumin seeds help improve digestion, prevent gastrointestinal disorders and bloating, have antispasmodic effects, and improve liver function (16). Toss them into a blender. Add the grapes to the blender and give it a spin. Pour the smoothie into two glasses. Add a tablespoon of lime juice to each glass. Tomatoes contain phytonutrients that help prevent cancer, lower lipid levels, and aid detoxification (17). Grapes contain antioxidants that prevent cancer cell proliferation. They can also help lower bad cholesterol levels and suppress platelet aggregation (18). Limes contain D-limonene, a terpene that helps protect against cancer, lowers bad cholesterol levels, and dissolves gallstones (19). Toss the grapefruit and pineapple into a blender and give it a spin. Add black pepper and a pinch of Himalayan pink salt and stir well. 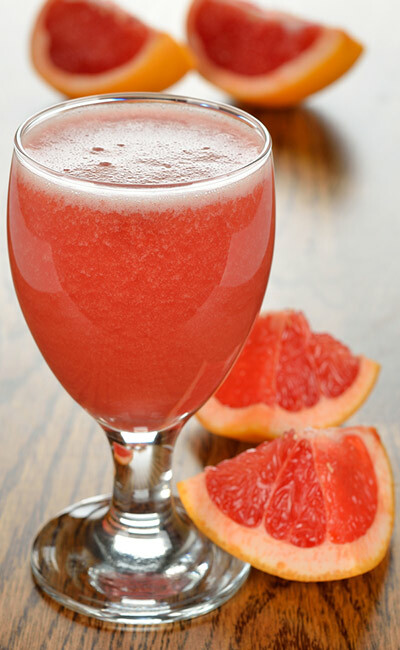 Grapefruit helps in reducing body weight by lowering the lipid levels in the blood and regulating blood pressure (20). Pineapple aids weight loss by reducing inflammation in the body (21). Black pepper helps prevent gastrointestinal disease, inhibits cancer cell division, and has anti-inflammatory and antimicrobial properties (22). Pour the smoothie out into two glasses and enjoy! Blueberries are rich in fiber and antioxidants and also have anti-inflammatory properties (23). Oats are a great source of dietary fiber that aids weight loss. It also improves digestion and prevents tumor growth (24). Chia seeds promote weight loss and can protect you from cardiovascular disease and diabetes (25). Low-fat milk helps control the amount of dairy fat consumed and helps to reduce the risk of cardiovascular diseases (26). 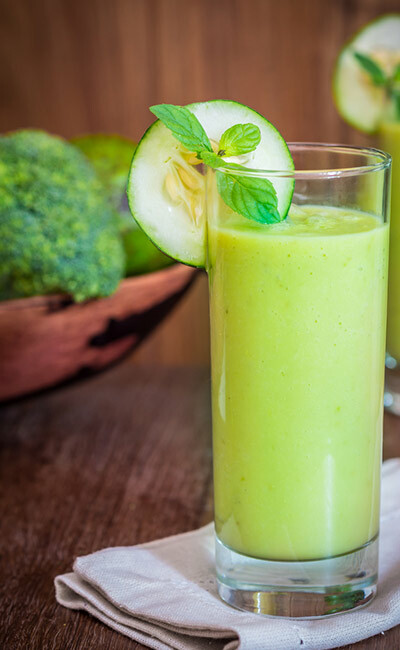 Toss the cucumber and plum into a blender and give it a spin. 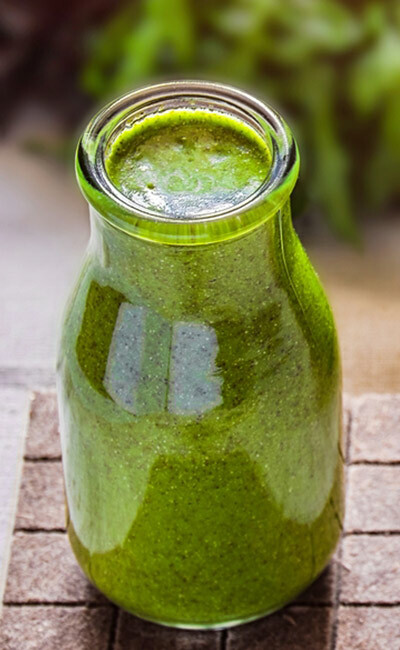 Pour the smoothie out into two glasses and add cumin powder, lime juice, and a pinch of Himalayan pink salt. Cucumbers are low in calories and high in water content. They have lipid lowering, antioxidant, and antidiabetic properties (27). Plums help fight cancer, improve the bone health of menopausal women, have a laxative effect, and aid glucose metabolism (28). Cumin seeds can help improve digestion, prevent gastrointestinal disorders and bloating, have an antispasmodic effect, and improve liver function (29). Limes contain d-limonene, a terpene that helps prevent cancer, lower bad cholesterol levels, and dissolve gallstones (30). Blend the chopped peach and passion fruit. 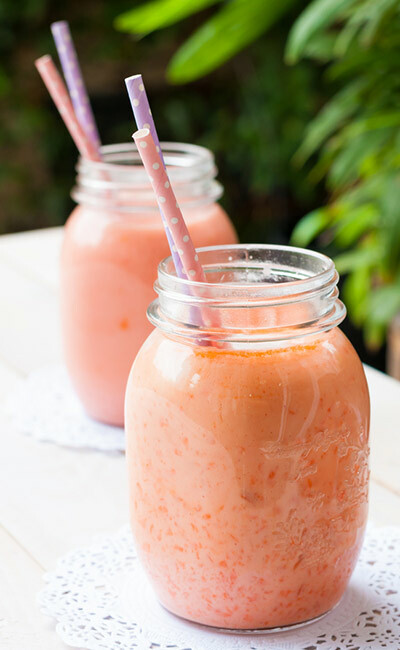 Pour the smoothie into a glass and add the ground flax seeds and a pinch of Himalayan pink salt. Peaches are rich in antioxidants that help to flush out toxins. They also have anti-inflammatory properties that reduce inflammation-induced obesity (31). Passion fruit is loaded with phytonutrients that make it an excellent antimicrobial and cancer preventing agent (32). Flax seeds are rich in alpha-linolenic acid (ALA) that helps to minimize the risk of myocardial infarction and stroke and reduces bad cholesterol levels (33). 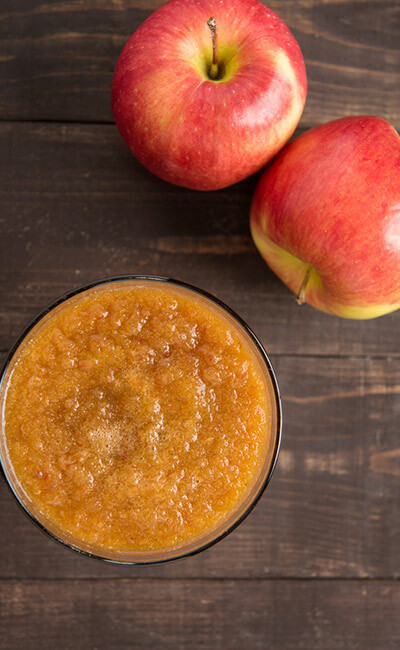 Toss the apple and lettuce into a blender and give it a spin. Add chilled water and stir well before pouring it into two glasses. Add honey and a pinch of Himalayan pink salt. Green apples contain antioxidants such as catechin, quercetin, chlorogenic acid, etc. that aid weight loss, prevent asthma attacks, and prevent cancer and cardiovascular diseases (34). Lettuce is low in calories and rich in vitamins E and C, potassium, iron, and carotenes that help support liver health and improve digestion (35). Honey has antimicrobial properties that help to protect the gums and teeth. It acts as a natural medicine for cough and helps to heal wounds and prevent microbial infection (36). Blend the strawberries, black grape, and ginger. Pour the smoothie into two glasses and add cumin powder and Himalayan pink salt. Strawberries help prevent obesity, cardiovascular disease, diabetes, neurodegeneration, cancer, and metabolic syndrome (37). Black grapes contain a good amount of vitamin C and polyphenols that help protect the heart (38). Ginger helps to improve digestion, has anti-inflammatory and antioxidant properties, prevents neurodegenerative and heart diseases, and delays aging (39). Cumin seeds improve digestion, prevent gastrointestinal disorders and bloating, have antispasmodic effects, and improve liver function (40). 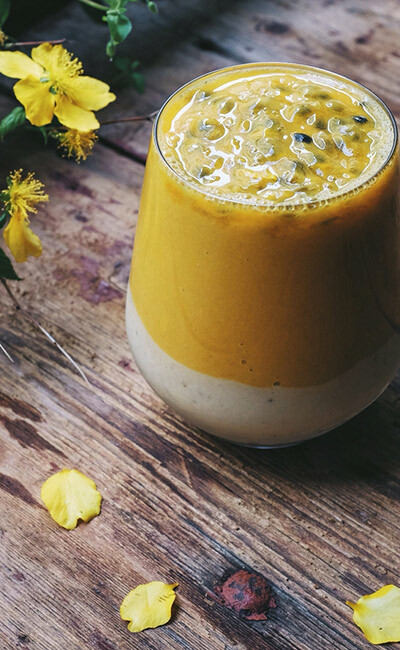 Toss the kiwi, apricots, and muskmelon into a blender and give it a spin. Add the chilled water and stir gently. Mix well. 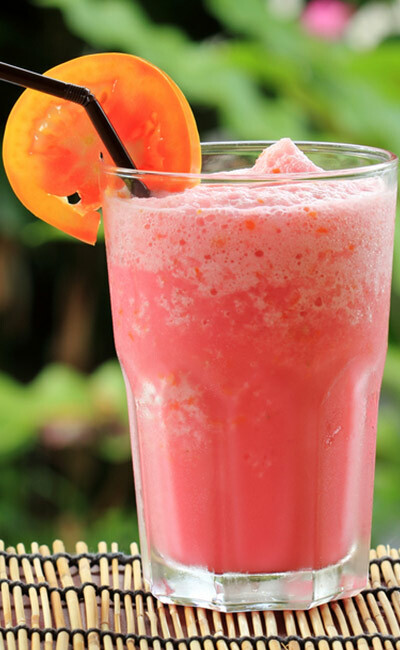 Pour the smoothie into two glasses and add the lime juice and a pinch of Himalayan pink salt. Kiwis help to suppress platelet aggregation, prevent oxidative damage, increase iron content in the body, and aid digestion (41). Apricot has anti-inflammatory and antioxidant properties that make it a potent anti-colitis agent (42). Consuming muskmelon can help fight cancer, reduce oxidative stress, improve lung health, reduce wrinkles, and boost the immune system (43). Limes contain D-limonene, a terpene that helps prevent cancer, lower bad cholesterol levels, and dissolve gallstones (44). Blend the raspberries and the mint leaves. Add the coconut water and stir gently. Pour it out into two glasses. Add the chia seeds and stir well. Raspberries contain antioxidants and have antimicrobial and anticancer properties (45). Chia seeds promote weight loss and can protect you from cardiovascular disease and diabetes (46). Coconut water is loaded with potassium, sodium, magnesium, calcium, protein, vitamins, and minerals that help to rejuvenate the cells (47). Mint helps to improve digestion, prevents bloating and gastritis, relieves menstrual pain and headache, and prevents staphylococcus infection (48). 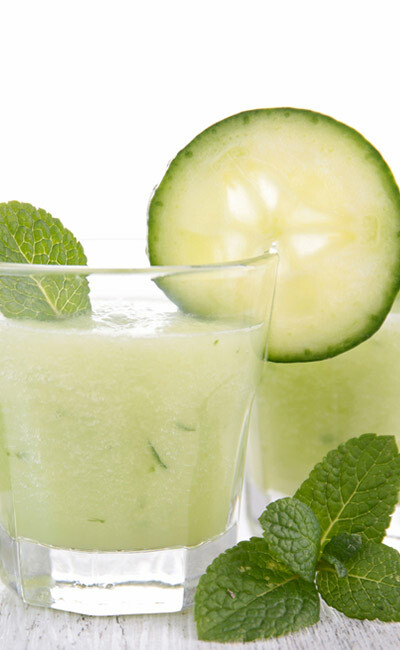 Toss the shredded bottle gourd and chopped cucumber into a blender and give it a spin. Add the chilled water and lemon juice and stir well. Bottle gourd can help prevent a host of diseases and symptoms, such as diabetes, ulcer, hypertension, jaundice, and skin and heart diseases (49). Cucumbers are low in calories and high in water content and have lipid lowering, antioxidant, and antidiabetic properties (50). Lemons have an alkalizing effect that helps to nullify the acidic environment inside the body. Lemon helps in liver detoxification, aids proper bowel movement, has antiparasitic activity, and helps fight cancer and diabetes-induced cataract (51). 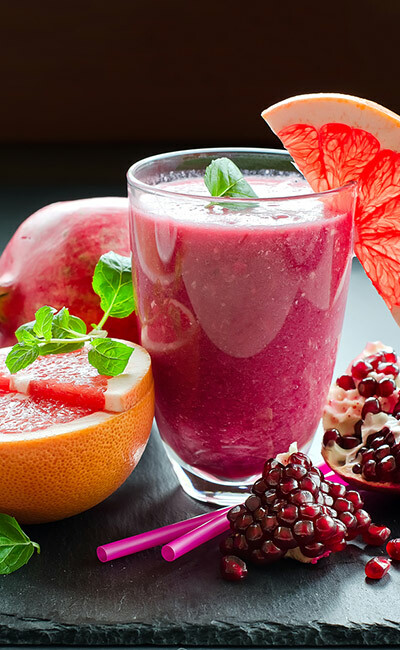 Toss the chopped beetroot, black grapes, and mint leaves into a blender and blend well. Add lemon juice and a pinch of Himalayan pink salt and stir well. 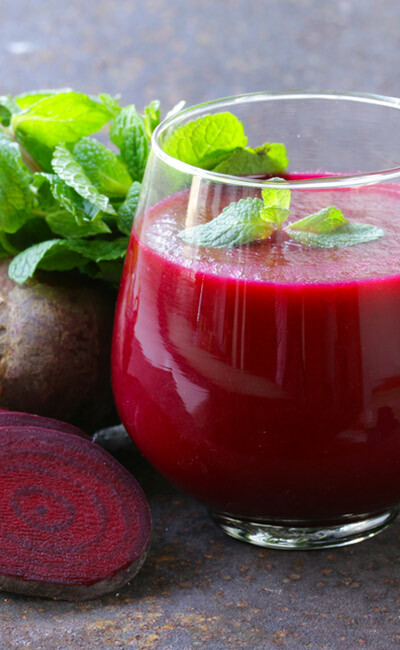 Beetroots contain anti-inflammatory, antimicrobial, and antioxidant activities. It prevents DNA damage and boosts metabolism (52). Black grapes contain a good amount of vitamin C and polyphenols that help protect the heart (53). Mint helps to improve digestion, prevents bloating and gastritis, relieves menstrual pain and headache, and prevents staphylococcus infection (54). Limes contain D-limonene, a terpene that helps prevent cancer, lowers bad cholesterol levels, and dissolves gallstones (55). Blend the spinach and strawberries. Add the Ceylon cinnamon powder and stir well. Spinach helps to prevent cardiovascular diseases, cancer, and obesity (56). Strawberries help prevent obesity, cardiovascular disease, diabetes, neurodegeneration, cancer, and metabolic syndrome (57). Cinnamon aids weight loss by lowering cholesterol levels and inflammation. It also helps to reduce oxidative damage and stimulates glucose metabolism (58). 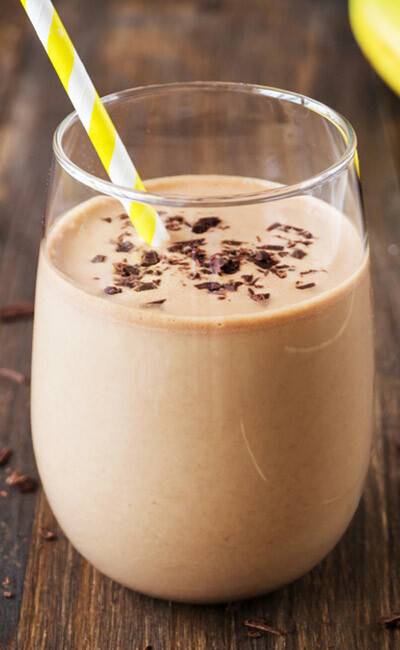 Toss the sliced bananas, almonds, grated dark chocolate, and chilled milk into a blender and give it a spin. 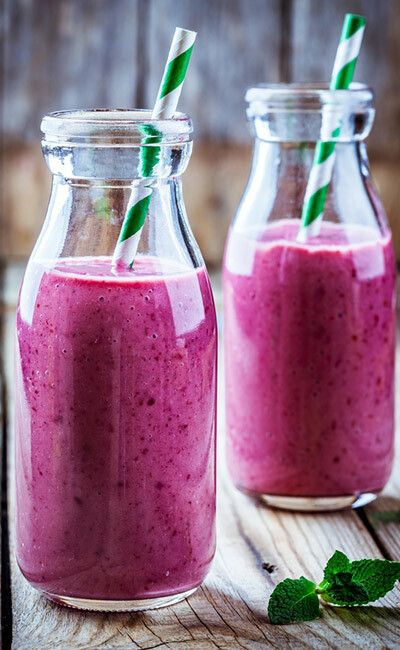 Pour the smoothie into two glasses and relish. Banana is rich in phenolics, polysterols, and antioxidants that help to nullify the harmful oxygen radicals. It is also a good source of dietary fiber (59). Almonds are rich in healthy fats that help to reduce inflammation, oxidative stress, and diabetes (60). Dark chocolate improves platelet aggregation, blood pressure, and cardiovascular health (61). Low-fat milk helps control the amount of dairy fat consumed and reduces the risk of cardiovascular diseases (62). Add lemon juice and cayenne pepper. Papayas are rich in phytonutrients that aid digestion, prevent neurodegeneration, provide energy, and delay aging (63). Lemon has an alkalizing effect that helps to nullify the acidic environment inside the body. It helps in liver detoxification, aids proper bowel movement, displays antiparasitic activity, and helps fight cancer and diabetes-induced cataract (64). Cayenne pepper contains capsaicin, a phytonutrient that has antioxidant properties. It helps in weight loss and prevents the risk of diabetes, atherosclerosis, heart diseases, and hypertension (65). Toss the pomegranate, tangerine, and ginger root into a blender and give it a spin. Pour the smoothie into two glasses and add a pinch of Himalayan pink salt. Pomegranate helps lower cholesterol levels, regulates blood pressure and blood sugar levels, and has antioxidant and anti-inflammatory properties (66). Tangerines are a great source of vitamins C and A, folate, and dietary fiber, which help boost immunity, improve eye health, and promote weight loss (67). Ginger helps to improve digestion, has anti-inflammatory and antioxidant properties, prevents neurodegenerative and heart diseases, and delays aging (68). 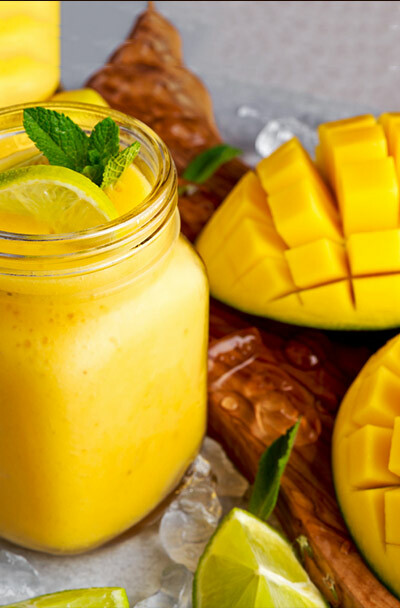 Blend the mango, yogurt, and milk. Add a pinch of nutmeg powder and stir well. Mangoes have antidiarrheal, antispasmodic, antiallergic, anti-inflammatory, anti-tumor, lipid lowering, and antiparasitic properties (69). Yogurt contains good gut bacteria that help prevent gastrointestinal diseases, infections, allergies, and cancer (70). Nutmeg helps to lower bad cholesterol levels in the blood (71). 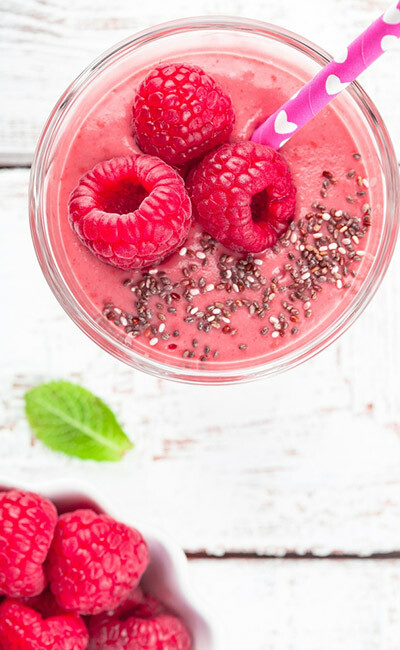 These are the 21 tasty and healthy smoothies for weight loss I swear by and regularly consume to get a good dose of nutrients. I bet you will love them too! 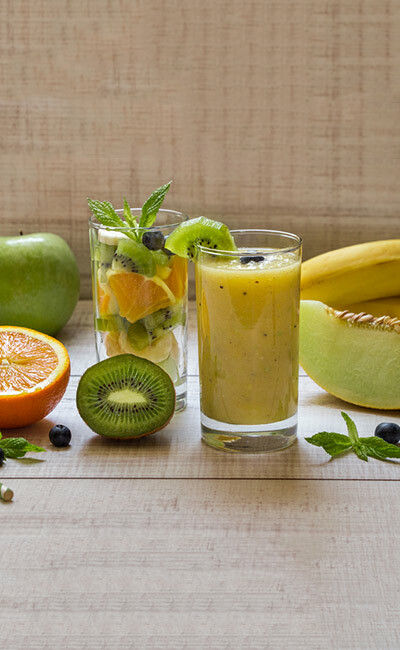 You’ll surely become a smoothie lover after you taste any of these smoothies. So, don’t think anymore, make your weight loss dream come true. Start now!